after our adventures in clarion alley, we headed down a few blocks to the curiosity shoppe so i could check out lisa congdon's collection a day exhibit. then we wandered in to 826 valencia and enjoyed browsing all of the pirate-y goodness. we also stopped in to paxton gate next door. as we were driving around, ricky said to tell him if anything grabbed our eye and he would stop, so when chris spotted this awesome DC comics mural, we just had to get out and shoot it. across the street was the adorable beauty bar. it had such a lovely exterior. there was so much to look at that it was a bit overwhelming. and really? 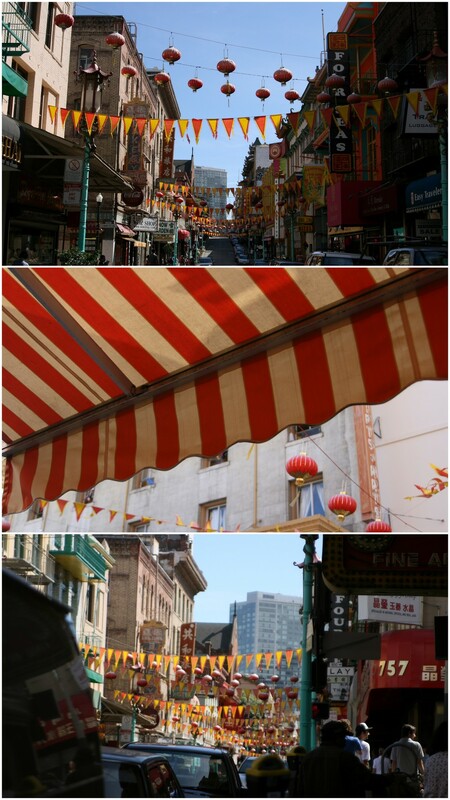 san francisco's chinatown puts new york's to shame. maybe one my favorite polaroids that i've taken. ever. kind of kicking myself for not buying one of these license plates with my name on it. but i do love the blues and yellows in this pairing. stayed tuned for part three!